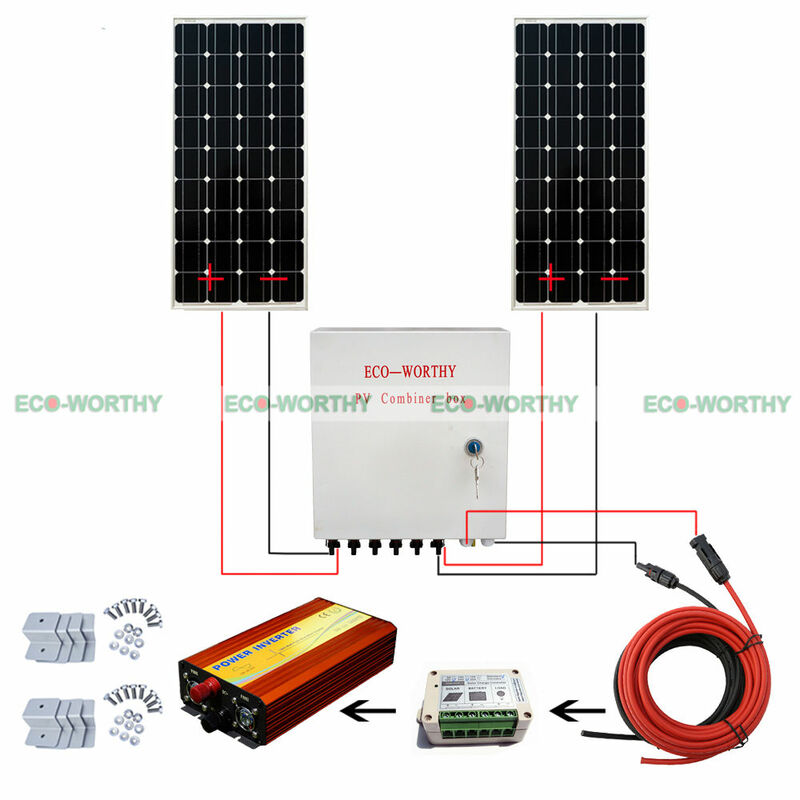 Here for sale is 960W Complete Off Grid Solar System with 6*160W solar panel, 45A solar controller, 6 sets Z brackets, 2 pcs 5m(16.4\') 4mm² solar cables (totally 32.8\') and a solar combiner box. Our 160 Watts 18 Volts mono Solar Panel is the key component to a system when going off the grid. These panels are relatively compact and are a breeze to set up. Whether you are going camping in the mountains or taking a trip to the beach, this panel can be a great start to your off-grid system! The 160 Watts 18Volts mono Solar Panel has several uses including marine, dry camp, and other off-grid applications. It also have the capability of withstanding heavy snow and strong wind loads. Note: The combiner box will be shipped from China .